You Think It — We Ink It. 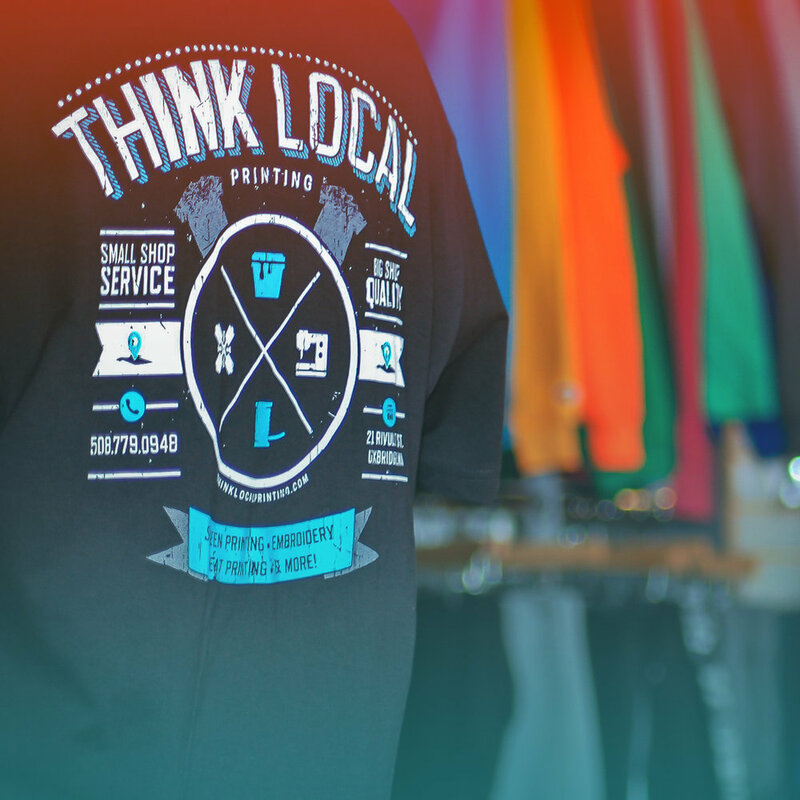 It's our goal to be your brand, team, business, or event’s dedicated custom print shop. Ready to get your order going? Someone from our knowledgeable and friendly team will get back to you ASAP. have a large scale project, sports league, or fundraiser? Let’s meet in our showroom and get all the details just right. Local? Stop by, say hi and pick up your goods! The #1 choice for printed apparel. Professional, Top Quality & Long Lasting. Feeling Inspired? Let’s Create Something! Our vendors offer just about anything, from business wear to sports uniforms, and more. Found a product and need pricing? Save the style number and fill out our quote request form, one of our team members will get back to you shortly! We love to hear your feedback and opinions! See what we've been up to at the shop. Follow us on Instagram to get the latest updates and more! Thank you! We received your message. Someone will be in touch shortly! We usually get back within 1 business day, if you don't hear from us please feel free to call or send another message.